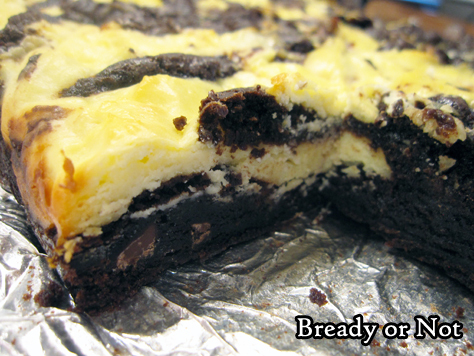 Cheesecake Brownies. Beautiful to behold. Delicious to eat. I’m not a cheesecake person. But the pairing of chocolate and cheesecake? That makes it work. This recipe is all about that balance of different kinds of sweetness. 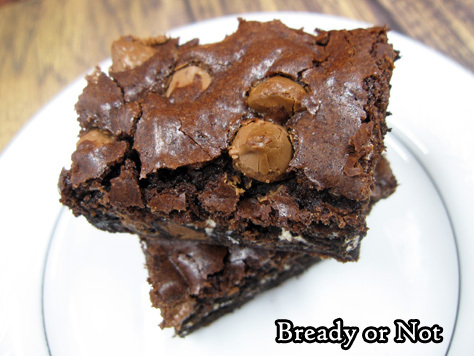 The addition of semisweet chocolate chips complements both and adds a different texture, too. 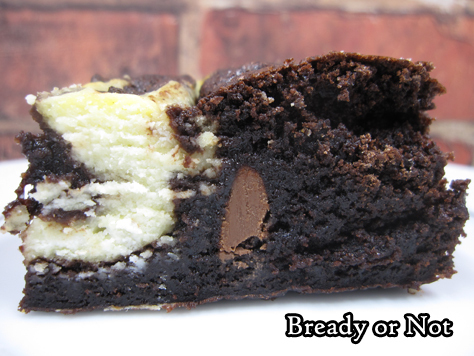 I have to say, I love the swirl effect on the top of these brownies. There’s something especially pleasing about food that looks as amazing as it tastes. 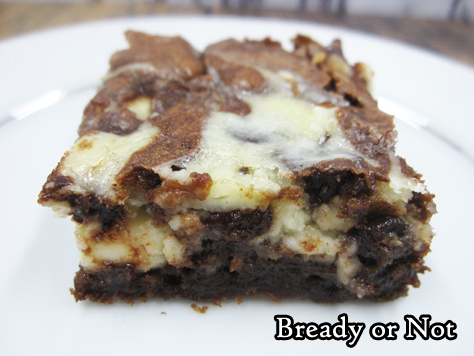 If you want a similar, stronger (and more expensive) pairing, my Swirled Goat Cheese Brownies will also interest you. Modified from All Recipes Magazines, November 2017. This take on a classic pairs brownies with rich cream cheese. The semisweet chocolate chips throughout complement in a delicious way. Preheat oven at 350-degrees. Line an 8x8 or 9x9 pan with heavy foil and apply butter or nonstick spray. Beat together cream cheese, 1/4 cup sugar, and 1 egg until fairly smooth; some small chunks are fine. Stir in 1 cup chocolate chips. In a microwave safe bowl, heat the butter and remaining 1 cup chocolate chips in brief bursts until fully melted and smooth; watch it carefully and stir well between each burst. Stir in the remaining 1/2 cup sugar, followed by the 2 eggs, flour, baking powder, and salt. 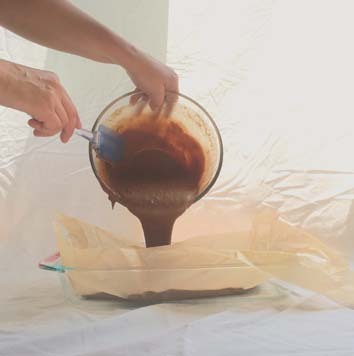 Pour half the chocolate batter into the ready pan and spread into an even layer. Gently spread the cream cheese batter on top. Drop dollops of the rest of the chocolate batter on top. 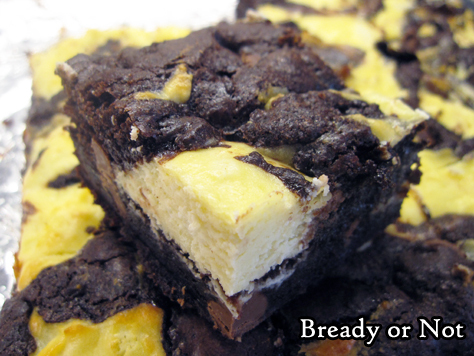 Use a butter knife or narrow spatula to swirl the layers together for a marbled effect. 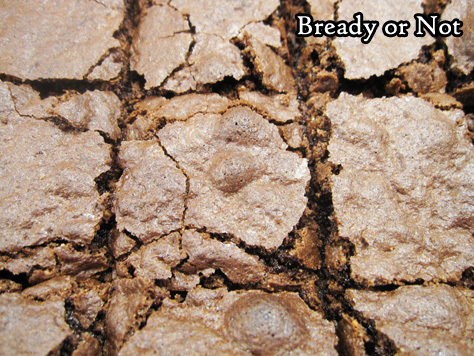 Bake until the top is crinkled and edges are pulling away from the sides of the pan, about 25 to 30 minutes. Let cool at room temperature for an hour, then stash in the fridge for another few hours to completely cool. 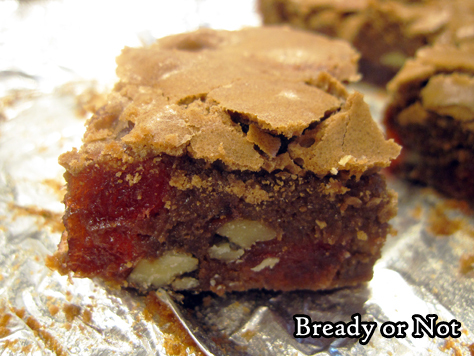 Use the foil to lift the contents onto a cutting board to slice into bars. Store in a sealed container in fridge, waxed paper between stacked layers to prevent stocking, for up to three days, or freeze for later enjoyment. 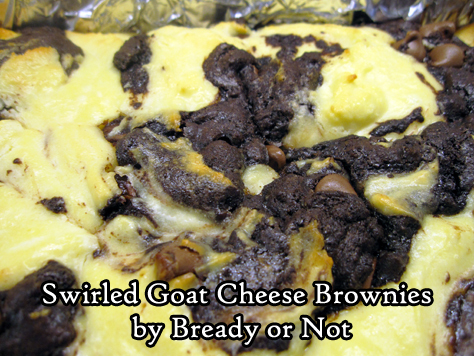 Swirled Goat Cheese Brownies. These things are sweet, savory, rich, and absolutely perfect for holiday fixin’s. 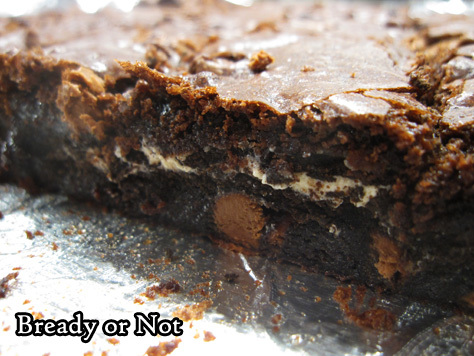 These are brownies that taste fancy, because they are. Goat cheese ain’t cheap, people, though I acquired mine for a good price at Costco. Costco’s chevre comes in two logs of 10 1/2 ounces. I bought it for use in a recipe that’ll be coming up in a few weeks (goat cheese rounds for a salad, YUM) but then had to figure out what to do with the other log. The answer, of course: DESSERT! I ended up melding several recipes to suit my Costco-sized cheese, and ta-da! This recipe is the result. 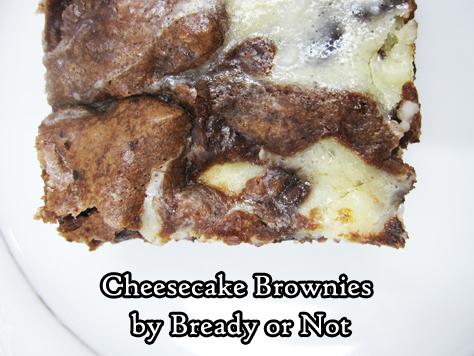 I’ve made brownies like this using cream cheese before. This version takes that up several notches. Chevre is a strong, somewhat gamey cheese. 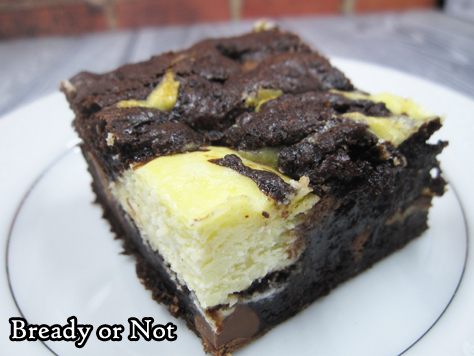 The end result is a brownie that is rich and sweet with a distinct savory note. 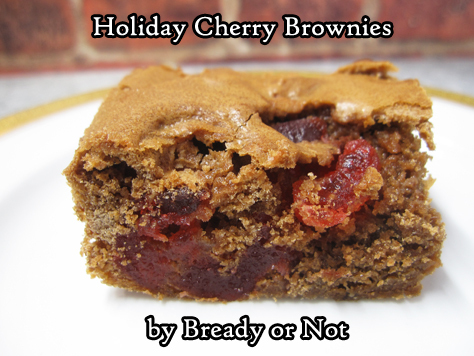 Treat yourself with these amazing brownies this holiday season–and be sure to check out last week’s Holiday Cherry Brownies, too! 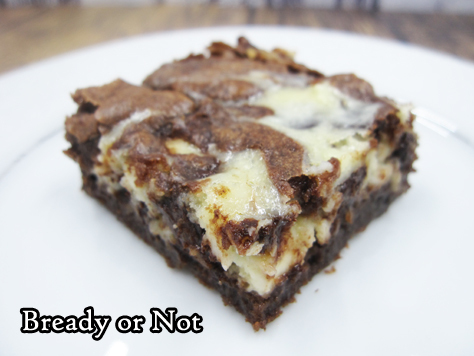 Goat cheese makes these swirled brownies taste delicious and fancy! This recipe is made to accommodate the size of goat cheese available at Costco. Serve these up at a holiday gathering and folks are sure to rave. Preheat oven to 350-degrees. 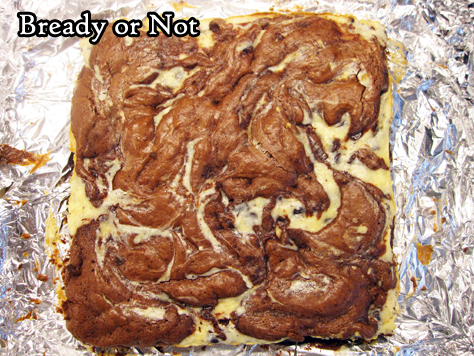 Line an 8×8 or 9x9-inch square pan with aluminum foil and apply nonstick spray or butter. Mix goat cheese swirl ingredients. Set aside. 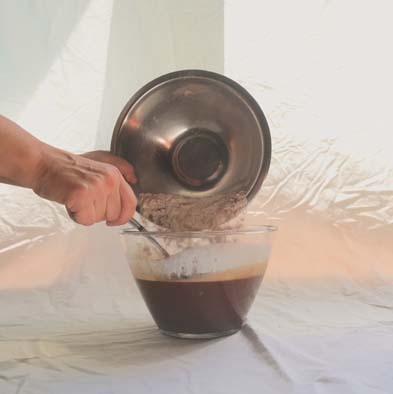 Make the brownie base by whisking together the cocoa, sugars, salt, flour, and chips in a big mixing bowl. Add the eggs, oil, and water and vanilla extract until everything is just combined. Spoon half the brownie batter into the prepared pan. 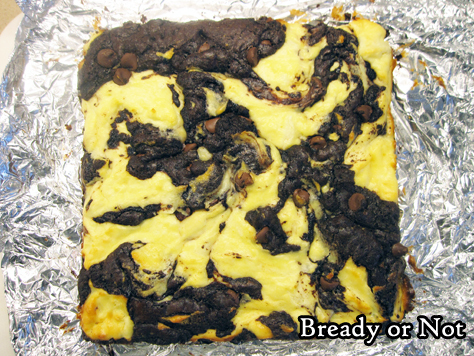 Dollop the cheese mixture atop it, then add the remaining brownie batter into the open spots. Use a knife to swirl the two layers together while still keeping them a bit distinct. 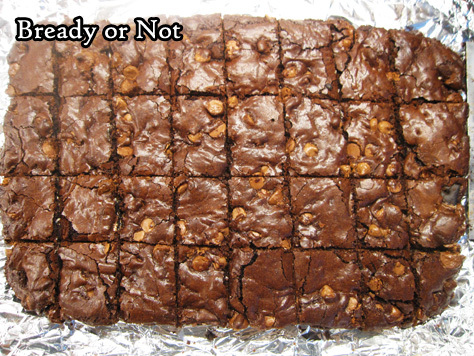 Bake the brownies for 35 to 45 minutes, depending on the pan size. Use the toothpick test to check for doneness. 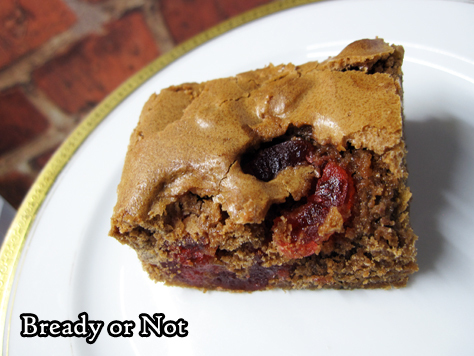 The center should be set with the consistency still moist and fudgy. Cool to room temperature, then place in fridge to chill an hour or two prior to cutting. 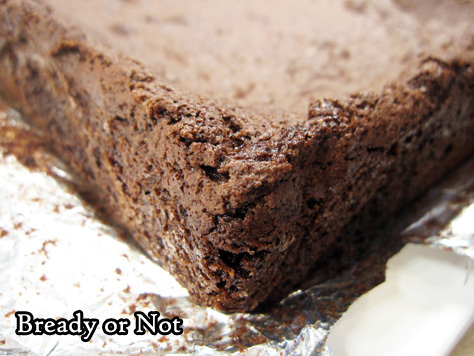 Use foil to lift brownies onto cutting board for easy slicing. Store in a sealed container in fridge, with parchment or waxed paper between the layers. Those big jewel-like candied cherries aren’t just meant for fruitcake. 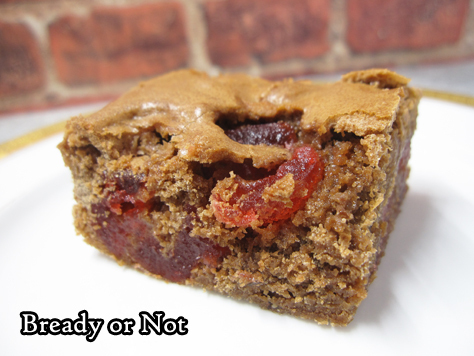 Bake them into some Holiday Cherry Brownies! As with my recent Fruitcake Cookies, this recipe is handy if you want to make a festive treat in December–or put those clearance tubs of fruitcake fixins to good use in the new year. 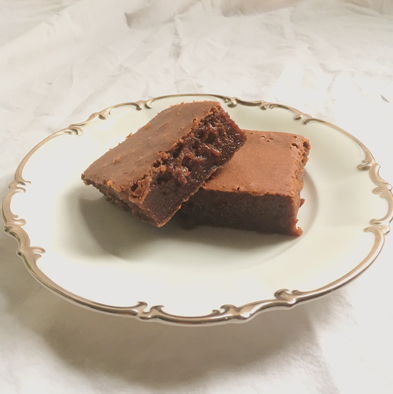 Plus, these are darn good brownies with a thin, crisp top and a chewy interior. The cherries add lovely flavor and juiciness, which is even better alongside the crunch of walnuts. Oh yeah, and these brownies are PRETTY. That counts for something. I modified the original recipe to melt the chocolate and butter the quick and lazy way with the help of my microwave, because my stove is old and cheap and that method would probably triple my prep time. But you can certainly use the stove, too. Whatever works best for you. Mind you, I am a purist about butter on the stovetop for things like browned butter (SO GOOD) but here alongside the chocolate, I don’t think there would be a discernible difference. Modified from Taste of Home Best Loved Cookies & Bars magazine. I’m excited to welcome author K. Bird Lincoln with a special Bready or Not guest post! I’ve read over 130 urban fantasies and it’s hard to wow me these days, but the first book in her Portland Hafu series was a delight. She’s here today to celebrate the release of her second book, Black Pearl Dreaming, with a multicultural chocolate cake. 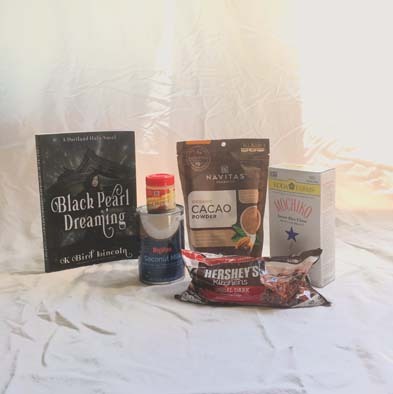 Plus, you can enter a Rafflecopter giveaway for her first book, Dream Eater! Read the recipe, and you might win yourself a great book to pair with this special chocolate cake. The Portland Hafu Urban Fantasy series features a Japanese American young woman named Koi. She finds out her father isn’t entirely human and has to battle evil professors and dragons. 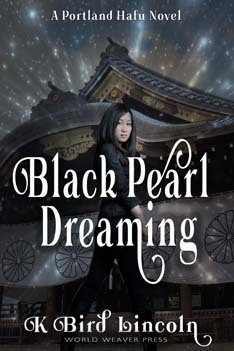 The second in the series, Black Pearl Dreaming, has Koi traveling to Japan to seek answers for her father’s mental decline. Chocolate is a huge part of Koi’s world. Like really important. So important that when love interest, Kitsune trickster Ken, wants to apologize for getting her in trouble in Tokyo, he gives her Oregon Chocolatier Dagoba’s Xocolatl Chocolate bar, invoking rosy childhood memories of the only chocolate Koi’s father ever deigned to consume. So Xocolatl, possibly “bitter water” from the Mayan language, is the flavor I thought I’d play with for this recipe. Drawing on Koi’s happa haole heritage (she’s Japanese on her father’s side and Caucasian-Hawaiian on her mother’s) I thought it fitting to turn Hawaiian Butter Mochi into an homage to my favorite Oregon Chocolatier. Butter mochi isn’t the same thing at all as Japanese mochi celebrated at New Year’s and used in making daifuku. Butter mochi is a Hawaiian cake incorporating Mochi flour (sweet rice flour or glutinous rice flour not to be confused with ye olde plain rice flour) milk, and butter to make a squishy, bouncy, chewy rich cake like deliciousness. Don’t be scared off by the mochi flour. All the rest of the ingredients in this are pretty easy to get, and I even found Mochiko Flour (Koda Farms Brand) at my local Hy-Vee grocery store here in the Southeastern Prairie of Minnesota in the Asian Foods section. And of course, you can order Mochiko on Amazon. This is Hawaiian soul food with a spicy chocolate twist, y’all. One bite, and you’ll be hooked, I promise. This recipe inspired by K. Bird Lincoln’s Portland Hafu Urban Fantasy series combines traditional Japanese and Hawaiian ingredients for a delicious result! 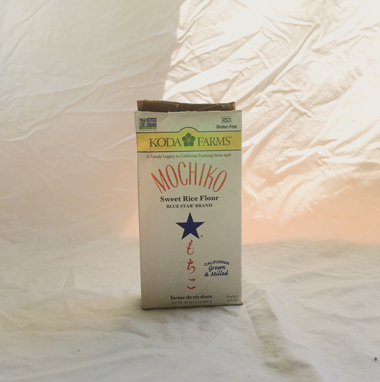 Mochiko Flour isn’t hard to get in grocery stores worldwide and can also be ordered online. 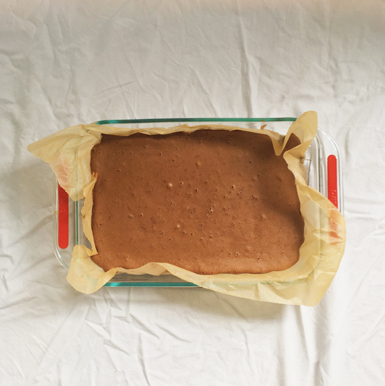 Grease or insert parchment paper into a 9×13 pan. Melt the butter and chocolate together. Mix in sugar and vanilla. In a different bowl, mix Mochiko flour, cacao powder, baking powder, cinnamon, and cayenne. Beat in 1/2 of the Mochiko flour mixture, eggs, and coconut milk. Add in another 1/2 of the Mochiko flour mixture, 11/2 cup milk and beat until all flour and milk is added and mixed in until smooth. Pour into pan and cook at 350 deg F for 45-55 minutes. Let cool completely. Cut with a plastic knife or wet your knife between cuts. Koi visits Japan looking for answers and instead is forced to make an impossible choice. 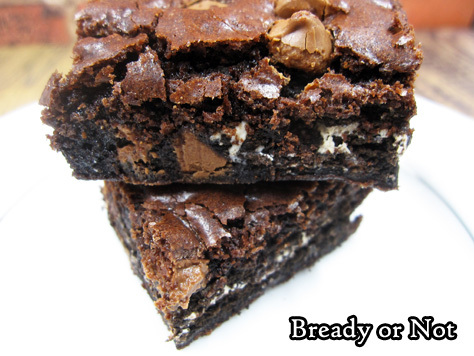 These brownies are what happened after I bought a box of Cookies & Crème Pop Tarts for my son. He didn’t like them. Well, darn. I can’t eat them myself. I didn’t want them wallowing in my pantry forever. 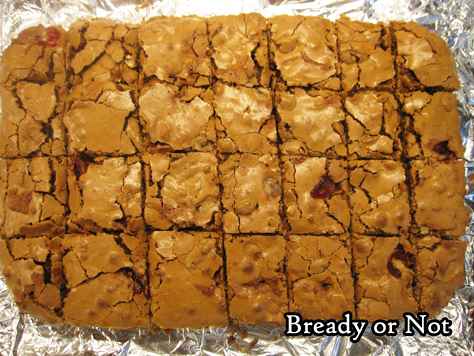 Therefore, I decided to use up the remaining packets by baking them into brownies. 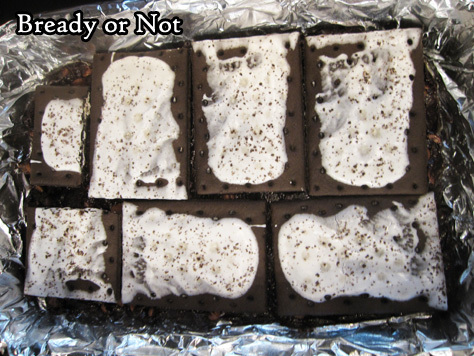 The layered technique works out well with Oreos, after all! Turns out, Pop Tarts are fantastic baked into brownies. They are thinner than Oreos, and meld more with the surrounding dough. The mild Oreo-like taste still shines through. Plus, the resulting brownie isn’t quite as dense. 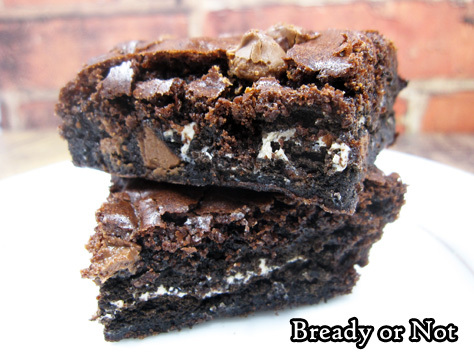 Just in case you aren’t in the mood for brick-like brownies. The original recipe is from King Arthur Flour. I rewrote it and added in the Pop Tarts and chocolate chips (because, why not?!). I’ve only done the recipe with Cookies & Crème Pop Tarts, but I think this technique would be great with all kinds of Pop Tarts–try strawberry (frosted or not), or Peanut Butter, or Smores. 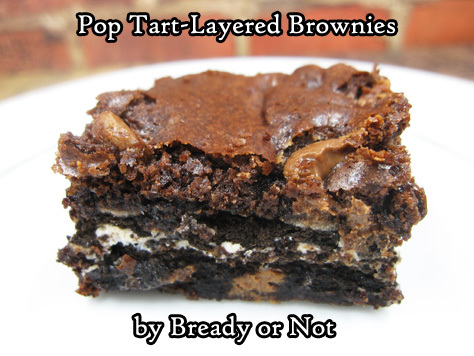 Plus, then you can tell people you had Pop Tarts for breakfast, and no one has to know it was encased in a brownie. 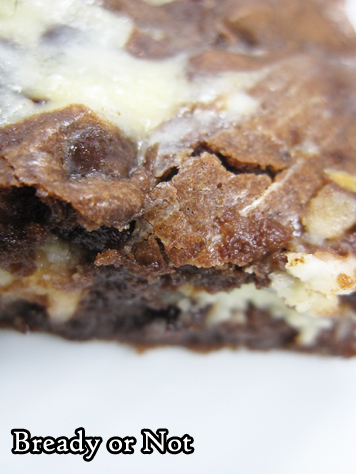 Layer Pop Tarts into a casserole dish-sized helping of brownies for a delicious change! Cookies & Crème results in a mild Oreo-like flavor, but try out other varieties, too. Preheat oven at 350-degrees. Line a 9x13 pan with parchment paper or foil, and grease with butter or apply nonstick spray. Stir together, in order, all of the ingredients up to the Pop Tarts. Dollop about half the dough in the prepared pan, and try to spread out as evenly as possible; the dough will be thick. Layer the Pop Tarts over the dough, breaking pieces as necessary to fit. Dollop the rest of the dough on top, and again, smooth out as much as possible. 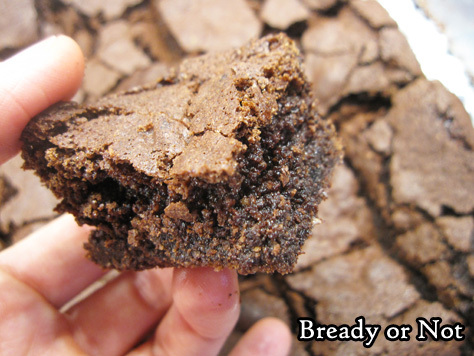 Bake brownies for 25 to 30 minutes, until the middle passes the toothpick test. Cool completely before lifting the brownies onto a cutting board to slice up. Store in a sealed container at room temperature, or freeze to make them last longer. I often get requests for more gluten-free sweets. Here you go. These brownies are so good, people won’t even know they lack gluten. They also happen to be grain-free. Just don’t give them to people who have almond allergies! 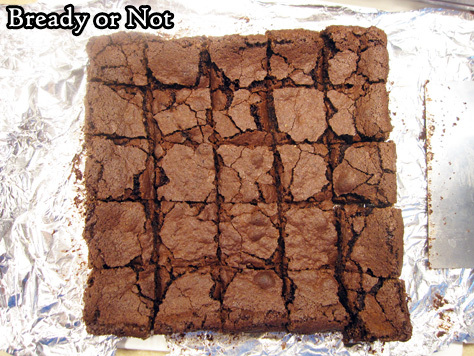 These brownies are fast to assemble. The end result tastes like standard brownies. I didn’t find them super moist, but they were nice and chewy. They kept pretty well in a sealed container for several days, too. The cut edges dried out a bit, but they were still delicious. 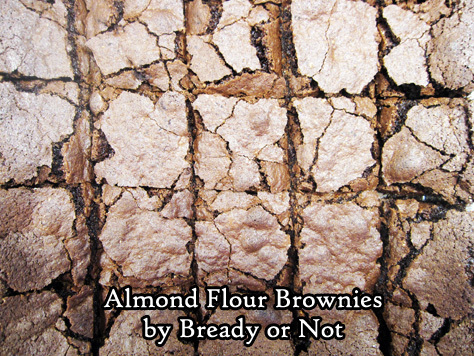 Here’s a tip for you: almond flour, because of its high fat content, can spoil. Keep it in the freezer! It won’t freeze solid but it will get clumpy. Hence my note in the ingredients list to sift the almond flour. These delicious brownies are gluten-free and grain-free, and they come together almost as fast as a box mix! Modified from King Arthur Flour. Preheat oven at 350-degrees. Line an 8x8 or 9x9 pan with foil and apply butter or nonstick spray. In the microwave, melt the butter in a medium-sized bowl. Stir in the sugar, salt, vanilla, cocoa, and eggs. Add in the almond flour and baking powder. Pour batter into the ready pan. Bake for 33 to 38 minutes, until the top is set and the middle just passes the toothpick test. Let cool, then cut into blocks. Store at room temperature in a sealed container or freeze for later enjoyment.